Home>New Mixtapes>Larry June Mixtapes> Listen To Larry June & Sledgren's "Sock It To Me Pt. 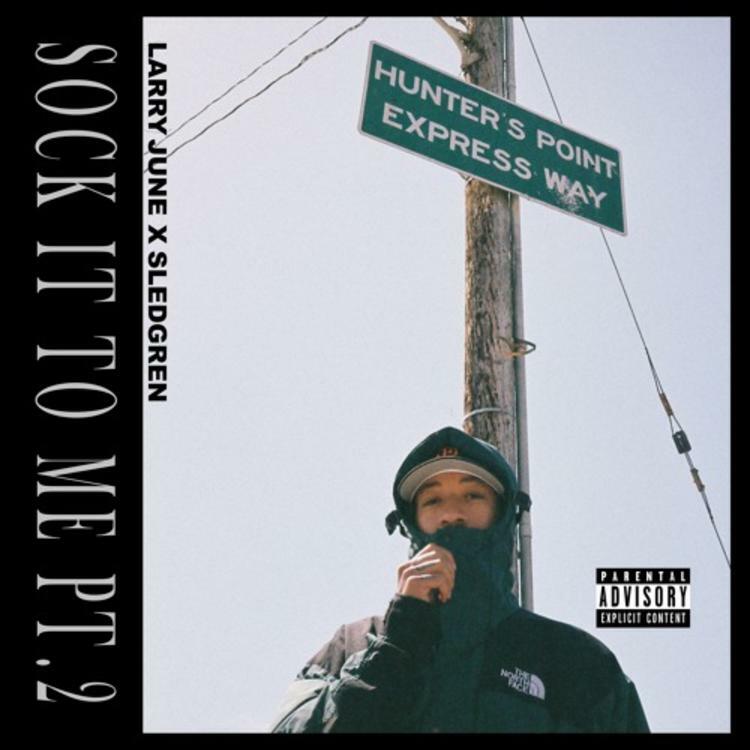 2"
Larry June and Sledgren have reunited to drop the sequel to 2016's Sock It To Me. The tape, appropriately titled Sock It To Me Pt. 2, picks up where the duo left off two years ago. Sledgren brings dreamy production with a heavy low-end, while Larry is goofy, carefree, and ever-versatile. It features some well-selected guests in Curren$y, DOm Kennedy, Maxo Kream, and Starlito. If you're a fan of Larry, it's an essential listen, but also a great entry point to his world. Fans of the hazy soundscapes Sledgren has been known to create for Wiz Khalifa and Taylor Gang will be more than satisfied, but be prepared for a few surprises as well. MIXTAPES Listen To Larry June & Sledgren's "Sock It To Me Pt. 2"